Please note: The registration is always valid for TWG (TinyWebGallery), TFU (TWG Flash Uploader), JFU (JFUploader) and WFU (WP Flash Uploader). You don't have to register these products seperately! The watermarks on the images are only for demonstration and can be removed or modified in the config or the TWG Admin without registration. The ad's on the bottom of the main page can be removed by deleting overview.htm (like the text on the main page says). But it would still be nice that you register if you do this. Album Explorer - shows an explorer like tree on the left side of the gallery - You can see an example in the AJAX demo. Album description - You can see an example on the overview page of the AJAX demo. "Lightbox"-Feature. On the thumbnaill page, the TopX and the image page you can activate the Lightbox-Script. It's like a quick view of the detail images in an overlay. Please go to the AJAX demo to see it in a working example. On the thumbnail page you have small zoom icons on every thumb. On the detail page the maxmized image is shown with the Lightbox-Script too. 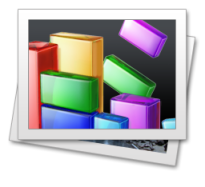 Generation of preview images for other file formats like mpg,avi in the TWG Admin. Captions can be entered at the upload with TFU with a professional license or higher. New TWG 2.0: SEO friendly urls can be enabled with a professional license or higher. See howto 44. New TWG 2.2: Make TWG responsive. See howto 57 and the responsive demo for details. New TWG 2.4: Unlimited html 5 uploader. The files that can be uploaded at once is not limited to one. This enables all features described above! The Professional Edition License is valid for one domain (or multi domain***). All possible features are available in this edition. This license does activate the entering of captions during upload with TFU and also supports SEO friendly urls. For additional features of this license see JFU and TFU (details). An Enterprise Edition License for all your domains. You can use TWG/ TFU/JFU for your projects as often as you like. The license is only bound to you and not to a domain anymore. For TFU/JFU are some additional license models available. If you plan to use TFU/JFU as standalone version as well you should take a look at the registration page of TFU/JFU. These licenses work for TWG as well. They are intended for users that e.g. want to integrate the flash into their site and/or want to modify it. **) Hard Rock Cafe Shot Glass: I'm collecting shot glasses (4cl) from the Hardrock Cafe from all over the world (I have around 90 right now). If you live in a city with a Hardrock Cafe - please check here if I don't have it yet (and how it looks like). If I don't have it please add in the free text field which shot glass you could send me (Because maybe it's already on the way). Normally a shot glass is around $6-7 + shipping. People who choose this way get a free professional license or an upgrade to the next higher license! ***) Multidomains : You have more then one domain for the same project, you only have to register once. Requirement is that it is the same web page. e.g. www.mydomain.de = www.maydomain.com = www.xyz.at == "My homepage. For trialpay multidomain registrations are not supported.